2018 is going to be a busy year for us at Sional with lots going on in the name of charity. We have decided to partner with Hope House Children’s Hospices this year as our Charity of the Year. Read more about the great work that the team at Hope House do here. 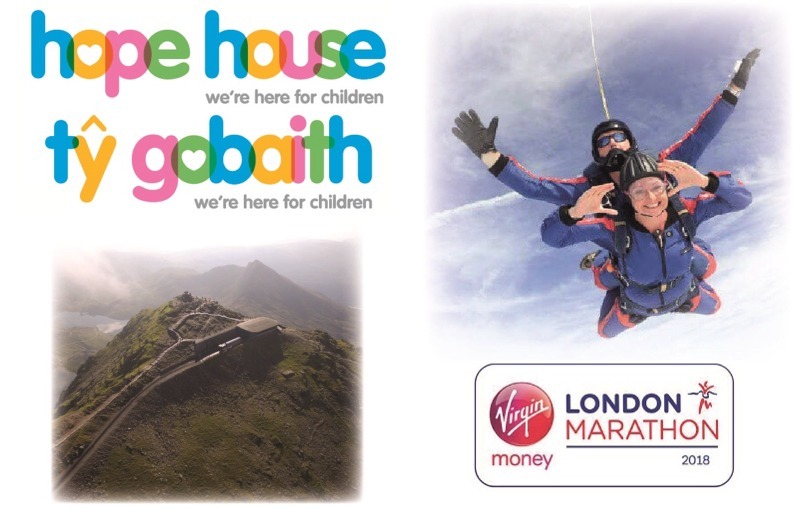 As a company, we will be sponsoring Hope House’s headline event for the year which is a 10-mile trek to the top of the highest mountain in England & Wales, Snowdon. The event on 1st July is hoping to raise well in excess of £30,000 for the charity with over 300 entrants each committing to raise £100 each. Sional will be there on the day taking part in the event and we will be donating an event t-shirt to all entrants. In April, we have a member of the team running in the London Marathon. Anthony is a keen runner who’s run in lots of events locally but this will be his first London Marathon. Anthony will be raising money for Hope House and will be sporting a Hope House t-shirt on the day. Not to be outdone, two of the ladies in the office will be throwing themselves from a plane from 10,000 feet – all in the name of charity of course! Sioned and Jenny have signed up for this exhilarating event in the Shropshire countryside. Between them, they are hoping to raise £1000 which is a huge amount for Hope House. We’re planning lots of fundraising events at Sional, including cake sales, coffee mornings and stock clearance sales with profits going to Hope House. Keep in touch for more updates!